It's now 31 days until the kickoff of Catamount football at Georgia Tech. We'll highlight defensive backs on the Catamount Sports Forum, and spotlight RS freshman #31 Shea Corpening. Click the link below for more information on Shea. It's now 32 days until the kickoff of Catamount football at Georgia Tech. We'll highlight linebackers on the Catamount Sports Forum, and spotlight RS junior, #32 Nathaniel Sedergren. Click the link below for more information on Nathaniel. A preseason preview of the Catamount's eighth opponent of the 2011 football season, the Samford Bulldogs. For the eighth game of the season, the Catamounts travel to Birmingham, Alabama to play Bulldogs for the second week. Western trails the Samford Bulldogs 1-7-0 overall, and is 1-3 in games played in Birmingham. Last season, the Bulldogw won in Cullowhee by a final score of 38-7. Head Coach Pat Sullivan enters his 5th season with the Bulldogs and is one of two head coaches that must inprove their record for job security. Sullivan's problem is he must replace 25 seniors from a team that won just two conference games (WCU & GSU), finishing 7th place in the SoCon. The Bulldogs ended the season with a 4-7 overall record. Samford does return seven starters on offense, however, their defensive unit lost 7 starters, returning only four from last year’s defense that gave up 278 points or 25 points per game. "We are a young team, but I think we have some talent. We lost an awful lot of good football players from a year ago" said Sullivan. "Last year was a disappointing year for us in that I thought we had a chance to do a little more than we did." The Bulldogs will be without the services of Samford's all time leading rusher Chris Evans, however the Bulldogs will return senior quarterback Dustin Taliaferro. Given the amount of starters lost, 4 on offense and 7 on the defensive side of the ball, I expect the Bulldogs will remain in the lower third of the conference standing at the end of the season. I expect the Catamount to pick up their first win over Samford since the Bulldogs joined the SoCon. It's now 33 days until the kickoff of Catamount football at Georgia Tech. We'll highlight defensive backs on the Catamount Sports Forum, and spotlight freshman, #33 Austin H. Chambers. Click the link below for more information on Austin. It's now 34 days until the kickoff of Catamount football at Georgia Tech. We'll highlight line backers on the Catamount Sports Forum, and spotlight sophmore, #34 Ricky Schwarz. Click the link below for more information on Ricky. It's now 35 days until the kickoff of Catamount football at Georgia Tech. We'll highlight defensive backs on the Catamount Sports Forum, and spotlight sophmore, #35 Kyle Bernier. Click the link below for more information on Kyle. Friday, July 29th is the deadline to renew your Catamount Football Season Tickets in order to retain your current seating. For those not already season ticket holders, you can order 2011 Catamount football season tickets by calling the WCU athletic ticket office at (828) 227-2401 or toll free at (800) 34-GOWCU. The 2011 SoCon football season kicked off today with the Southern Conference Media Day Teleconference. Media from throughout the Southern Conference region called in to speak with student-athletes and coaches from all the Southern Conference schools. WCU Head Coach Dennis Wagner and sophomore wide receiver Deja Alexander were the Catamount participants. Coach Wagner seemed very upbeat the entire interview, and seems confident when discussing the depth of this year's team. "We have made tremendous strides in the strength of our football team and our size and depth. And we've finally got a lot of guys back both this year and next. We're excited to get started that first week of August." Wagner said. Sophomore Brandon Pechloff and senior Zac Brindise (#1 and #2 on the preseason depth chart) both return at the quarterback positions and will be joined by freshman Jawan Simmons during preseason camp. Wagner expressed confidence in Pechloff's selection as the #1 quarterback going into fall camp. You can hear all of Coach Wagner's comments, and those of Deja Alexander here as well as the comments of all the SoCon coaches. It's now 36 days until the kickoff of Catamount football at Georgia Tech. We'll highlight kickers/punters on the Catamount Sports Forum, and spotlight sophmore, #36 Richard Sigmon. Click the link below for more information on Richard. The SoCon coaches voted for a total of 50 students athletes to be on the SoCon preseason all conference teams today. That's 11 on defense, 11 on offense, & 3 on special teams, on each of two teams that were were selected (a first team and a second team). SoCon coaches could not vote for players on their own team, so effectively, 9 coaches picked 50 players off eight (8) teams. I say eight teams because not a single Catamount player was selected as either a first or second team member. SoCon coaches also voted in the coaches poll on how the teams would stack up this season. Again, coaches could not vote for their own team, and again, 9 coaches were voting for 8 teams, as Western was picked by these same coaches to end the season dead last in the 9 team field. What do these two votes mean? In my opinion, the SoCon coaches have spoken to all that read the poll and preseason all conference teams, that WCU football is just what many of our conference foes have said for years - the Catamounts are a team not to be taken seriously. Does the SoCon coaches think so little of the quality of our athletes? or is it they think so little of the quality of our coaching staff? What's your opinion? It's now 37 days until the kickoff of Catamount football at Georgia Tech. We'll highlight defensive backs on the Catamount Sports Forum, and spotlight sophmore, #37 K.P. Hicks. Click the link below for more information on K.P. It's now 38 days until the kickoff of Catamount football at Georgia Tech. Click the link below for more information on Clark. September 1 - WCU vs. Georgia Tech - Purple Zone Tailgate in Atlanta, Ga.
September 24 - WCU vs. Georgia Southern - Statesboro, Ga. It's now 39 days until the kickoff of Catamount football at Georgia Tech. We'll highlight running backs on the Catamount Sports Forum, and spotlight freshman, #39 Jonathan Douglas. Click the link below for more information on Jonathan. The Bulldogs travel from the South Carolina low country to the mountains of North Carolina as Western's fifth conference opponent and seventh overall game of the 2011-12 football season. The cats & dogs have only played a total of 35 times, with the first game coming in 1972. The dogs currently own a 19-15-1 record over the Cats, but Western owns a two game win streak over the Citadel, and the Cats lead the series in games played in Cullowhee 9-8. Last season's final score was a 24-13 Catamount victory in Charleston. The Bulldogs only conference win came in the season finale at Samford by a 13-12 score. It's now 40 days until the kickoff of Catamount football at Georgia Tech. We'll continue to highlight line backers on the Catamount Sports Forum, and spotlight senior, #40 Brandon Vaught. "Members of the WCU football team have been preparing for the upcoming season since January," said Jeff Pitman, the Strength and Conditioning Coordinator at Western. "Since the end of the spring semester, turnout (for voluntary workouts) has been great as we have had close to 70 players participate." Currently fifty-five football student-athletes are enrolled and taking classes the second semester of summer school while taking advantage of the voluntary workout program with Pitman. This summer, those participating in the program under the supervision of Pitman, have been running and lifting four days a week. The running is at 5:45 am to avoid the summer heat and humidity, as well as allow the student athletes plenty of time to get to morning classes. According to Pitman, on Mondays the skill players work on linear speed, and the linemen work on strong man drills, with boxing mixed in the training. On Tuesday and Thursday's voluntary workouts, drills include running together, and change of direction drills, while Friday's are reserved for as overall conditioning days. During these voluntary workouts, the players are lifting four days a week going through a full body routine daily. "We incorporate Olympic lifting, power lifting and body building drills to develop explosiveness and strength with injury prevention in mind," Pitman noted. Students-athletes not already in Cullowhee report to campus on Tuesday, Aug. 2d and official practice starts on Wednesday, August 3d. The Catamounts will hold open practices 3 - 7 August. The 2011 Catamount Golf Tour continues on August 3d 2011. The Western Open will be held at The Waynesville Country Club, Waynesville, N.C. These golfing events are a great opportunity to rally our Alumni, Fans and Western Carolina Coaches together to generate excitement for the upcoming year with WCU. All of the proceeds from each tournament will benefit the Catamount Athletic Scholarship Fund. 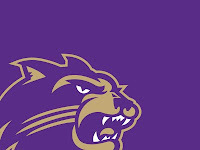 On Saturday, August 13th, 2011 the Catamount Club will be hosting the 3rd Annual Catamount Club Parking Cookout for Catamount Club Members to reserve their parking place in the Stadium/Creek Lots for the upcoming Football season. Parking selections will begin at 10 a.m. and the Team will have an Open Practice from 10 a.m. to 12 p.m. We will be providing food and beverage for all Catamount Club Members on the Patio of the Jordan Phillips Field house who are able to attend. We hope you will join us for a sneak peek as our 2011-2012 Catamount Football team prepares for the upcoming season… Please RSVP for the cookout at bradley@wcu.edu or 828.227.3794. Catamount Club Members who qualify for parking through their membership level and by having season tickets will be receiving a letter in the mail in the coming week with their designated time to pick their parking place. Your parking selection time is determined by your Membership Level 1st, then your Cats Points Rank within your membership level. Please contact the Catamount Club Office at 828.227.3794 with any questions. It's now 41 days until the kickoff of Catamount football at Georgia Tech. We'll continue to highlight line backers on the Catamount Sports Forum, and spotlight sophomore, #41 Courtland Carson. Click the link below for more information on Courtland. The Asheville Collegiate Invitational will kick off it's inaugural season in 2011 with a women's division slate of games. UNC Asheville and Radford from the Big South Conference and Appalachian State and Wofford from the Southern Conference are scheduled for a doubleheader that will be played in Kimmel Arena on the campus of UNCA on December 10, 2011. The Asheville Collegiate Invitational expands in 2012 to include both men's and women's competition. The Asheville Buncombe Regional Sports Commission is working with both the SoCon and Big South conference commissioners, various athletic directors, and coaches to line up both men's and women's teams for 2012. Asheville's 2012 Collegiate Basketball Invitational is scheduled for November 10th and 11th, the first weekend of the 2012 season. The 2012 men's games are planned to take place in the Asheville Civic Center and the women's games to remain in the Kimmel Arena. It's now 42 days until the kickoff of Catamount football at Georgia Tech. We'll continue to highlight the defensive line on the Catamount Sports Forum, and spotlight sophomore, #42 Andre Whitmire. Click the link below for more information on Andre. It's now 43 days until the kickoff of Catamount football at Georgia Tech. We'll continue to highlight special teams on the Catamount Sports Forum, and spotlight senior, #43 Marcus Stokes. Click the link below for more information on Marcus. Football - Want to watch a practice ? Football student-athletes officially report for fall camp on Tuesday, Aug. 2, with the first of NCAA-mandated two helmet-only practices scheduled for Wednesday, Aug. 3 and Thursday, Aug. 4. The next two practices will include the addition of shoulder pads with the squad scheduled to be in full pads for the first time on Sunday, August 7. Head football coach Dennis Wagner has restructured his coaching staff. In a surprise move, Wagner has named assistant coaches Andy Follett and Jeremiah Ross as co-Offensive Coordinators for the upcoming season. Follett will coach the team's quarterbacks while Ross continues his role as the offensive line coach. It's now 44 days until the kickoff of Catamount football at Georgia Tech. We'll continue to highlight special teams on the Catamount Sports Forum, and spotlight senior, #44 Austin Chambers. To beat the Mocs on the road will be difficult, however, they will have played both ASU and GSU by the time the Cats travel to Chattanooga. If they have been successful against either team, this will be a very difficult game for the Cats. I think the Mocs will probably be 3-3 or maybe even 2-4 coming into this game. If they are 2-4, a highly motivated Catamount squad can make this game very interesting, and leave Chattanooga with a win. It's now 45 days until the kickoff of Catamount football at Georgia Tech. We'll continue to highlight special teams on the Catamount Sports Forum, and spotlight senior, #45 Joe Korac. Click the link below for more information on Joe. First-year head women's volleyball coach Karen Glover has announced the addition of former Butler High School head coach John Brannon to her staff as an assistant coach. Brannon spent the past six years coaching high school volleyball at Butler High in Matthews, N.C., taking over as the varsity head coach in 2008. He guided the Bulldogs to an Elite 8 appearance in the Western Region Semifinals of the 4-A North Carolina State playoffs and a 20-6 overall record in his first season. Rising senior Ross Heffley the Catamounts' second baseman was again honored by his selection of All-America honors from CollegeBaseballInsider.com. Heffley was one of four honored from the SoCon. Joining Heffley was Matt Leeds (CofC) at third base; Victor Roache (GSU) as the DH; & Charleston's Daniel Aldrich (OF). It's now 46 days until the kickoff of Catamount football at Georgia Tech. We'll continue to highlight special teams on the Catamount Sports Forum, and spotlight senior, #46 Brett Allen. Click the link below for more information on Brett. It's now 47 days until the kickoff of Catamount football at Georgia Tech. We'll continue to highlight special teams on the Catamount Sports Forum, and spotlight senior, #47 Trevor Taylor. Click the link below for more information on Trevor. It's now 48 days until the kickoff of Catamount football at Georgia Tech. We'll continue to highlight special teams on the Catamount Sports Forum, and spotlight senior, #48 Blake Cain. Click the link below for more information on Blake. Harry E. Ramsey, a native of the Walnut community in Madison County who was the face of Western Carolina University in Asheville for more than two decades and a leader in providing higher education opportunities for thousands of Western North Carolina students, passed away Saturday, July 9, 2011. He was 77. Ramsey retired from WCU on Dec. 31, 1997, after 33 years of service to the university. During his career, he held numerous faculty and administrative positions, but he was best known as the statesman who strengthened WCU's relationship with the Asheville community and guided the relocation of WCU's programs from Oteen to the campus of the University of North Carolina at Asheville. As assistant to the chancellor, he served as director of WCU Programs in Asheville. In that role, he was the on-site administrator of all activities related to WCU's resident center in Asheville, and he was WCU's liaison with UNC Asheville, Asheville-Buncombe Technical Community College, the Asheville Graduate Center, the Asheville Area Chamber of Commerce, many civic organizations and the community at large. He was born Nov. 9, 1933. A 1952 graduate of Walnut High School in Madison County, he moved to Detroit following high school. From the steel mills of Detroit he joined the U.S. Army, and was stationed at Schofield Barracks in Hawaii, where he served three years in the 25th Division of the Signal Corps. Ramsey enrolled at Western Carolina in 1956, graduating with high honors in 1959 with a bachelor's degree in education. He earned his master's degree in social work in 1961 from Florida State University, where he studied under a National Institute of Mental Health Scholarship. He worked for three years as a clinical social worker with the Veterans Administration, beginning in Tuscaloosa, Ala., in 1961 before transferring to the VA Hospital in Salisbury in 1963. He began his career at WCU in 1964 as a faculty member in the Developmental Evaluation Clinic of the Department of Speech and Hearing. A member of the Academy of Certified Social Workers, he led the university's establishment of an undergraduate program in social work. From 1972 to 1976, he was programs coordinator for WCU's School of Nursing and Health Sciences, and he became assistant to the chancellor for WCU Programs in Asheville in 1974, one of the first administrative appointments by then-Chancellor H.F. "Cotton" Robinson. In addition, he was acting dean of the School of Health Sciences and Services in 1975-76 and acting dean of the School of Nursing and Health Sciences in 1978-79. Ramsey served on numerous university committees, including a term as chairman of WCU's Faculty-Administration Senate. Recipient of WCU's Paul A. Reid Distinguished Service Award for administrative staff in 1994, Ramsey was an active member of the Western North Carolina community. He was chairman of the Jackson County Study Commission on Mental Retardation; three-term president of the Jackson County United Fund; and member of the Allied Health Advisory Committee, N.C. Board of Higher Education, planning committee of the N.C. United Way, board of directors of Mountain Projects Inc., and the Private Industry Council of Buncombe County. A past recipient of the Asheville-Buncombe United Way Volunteer of the Year Award, he also was a university consultant to Thom's Rehabilitation Hospital, a participant in the inaugural Leadership Asheville program, and a member of the Asheville City and Buncombe County Schools Advisory Committee on Vocational/Occupational Education. He was a longtime member of the Catamount Club and steadfast supporter of WCU athletics. Upon Ramsey's retirement from WCU, then-Chancellor John Bardo called him "the epitome of the dedication, the service and the loyalty that an alumnus can render to his alma mater." In presenting him with the Reid Distinguished Service Award, then-Chancellor Myron Coulter praised "his deft administrative style, which won the respect of both the UNCA and WCU faculty members and administrators." In addition to his career achievements, he was a devoted family man and was known as a kind generous, loving and cherished dad, paw-paw, brother and friend. He is survived by daughter Gina Price and her husband, Pat, of Mount Holly; son Marty Ramsey, of Cullowhee; former wife and mother of his children, Sue Ramsey, of Pineville; sisters Wanda Cordell and husband Carroll, and Sandra Clark and husband Maurice, of Asheville; brothers Boyce Ramsey and wife Janice, of Asheville, and Donnie Ramsey and wife Ann, of Weaverville; granddaughter Leigh Anna Helms and husband, Justin, and great-grandson Tucker Helms, of Belmont; sisters-in-law Peggy Ramsey and Elene Ramsey; special friend and confidante Shugy Land; and numerous nieces, nephews, great-nieces, great-nephews, cousins and friends. He was preceded in death by his parents, Jeter Pritchard Ramsey and Cora Lee Ensley Ramsey; sisters Francis and Ruth Ramsey and Joyce Dennett; and brothers Elmer, Vernon, Joe and Gil Ramsey. Visitation and services will be held Thursday, July 14, 2011, at Groce Funeral Home at 1401 Patton Ave. in Asheville. Visitation will begin at 10:30 a.m. and services will begin at 12:30 p.m. A graveside service will follow at 2 p.m. at the VA Cemetery in Black Mountain. It's now 49 days until the kickoff of Catamount football at Georgia Tech. We'll highlight special teams on the Catamount Sports Forum, and spotlight red shirt sophomore, #49 Leo Gamez. Click the link below for more information on Leo. For the last four years, SportSouth has broadcast "SoCon Saturdays", the Southern Conference's "game of the week" during football season. During the negotiations between the conference and SportSpouth for the 2011 season, SportSouth wanted the right to dictate kickoff times for all the entire schedule, with as little as 10 to 12 days notice on any game. While this is a very common practice in the FBS, where football schedules are often released with kickoff times listed as "to be announced", those school receive major dollars in "television rights" fees for the ability to dictate those game start times by the network. But that would not be the case for the SoCon, which would not receive any money from SportSouth for "TV rights" for games broadcast for the 2011-12 football season. Without that alternate source of income for the individual schools, a set kick off time becomes critical to having good ticket sales/gate receipts that all SoCon schools need, as they all rely upon gate receipts for a large slice of their athletic budgets. Simply put, it all goes to ratings, had the "SoCon Saturdays" been a ratings success over the last four years, SportsSouth or another network/cable provider would have been willing to pay the conference to have the rights to the SoCon games. Rather than the conference having to pay SportsSouth to broadcast the games & give up TV rights for free, then forced to accept the demand to change game start times at their whelm. guaranteeing all TV games would kick off at 3 p.m. this season. The SoCon will also retain rights to the broadcasts, which it would have lost in any deal with SportsSouth or other regional sports provider, such as CSS. Retaining the broadcast rights means the SoCon can do what ever else it wants with the games, such as simulcast the games for free via computer stream on www.soconsports.com, something it could not do under previous deals. The league will also have total control over pre-game and post-game content and will share sponsor breaks with CSE. It's not a perfect deal, but one that has potential, both for the SoCon and PBS. 5 years of Eligibility for the FCS? The Colonial Athletic Association (CAA) is sponsoring legislation to the NCAA that would give football players in the Football Championship Subdivision (FCS) five years of eligibility. 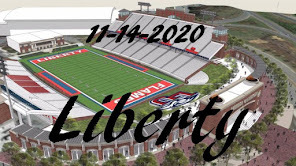 Kathleen Batterson, senior associate commissioner of the CAA said the league has until July 15 to submit the proposal. It then would come under review by a NCAA subcommittee, and probably would be reviewed at the NCAA legislative council meeting Oct. 17-18. It could then be presented to the NCAA's annual convention Jan. 11-12 and could be adopted by the NCAA board of directors Jan. 14, 2012. The CAA would like to see the new rule put into effect on Aug. 1, 2012. Under the current system, players have five years to play four seasons. 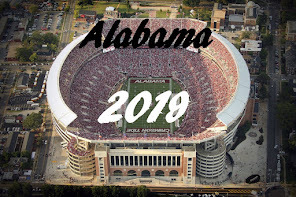 The five-year rule would not include the Football Bowl Subdivision (FBS), as the belief is that with FBS teams having 85 scholarships (opposed to the FCS's 63), there is no need for the five-year rule at the FBS level. "We are excited about the schedule for the upcoming season as it will provide us with the opportunity to face some of the top competition in the South East Region, as well as top teams from surrounding regions," said head coach Danny Williamson. "This will be a great test for our up-and-coming squads, and we are truly looking forward to the challenge as we look to improve from the base and depth that we have formulated over the past two years with both squads." Fri., Sept. 2: Western Carolina Invitational (W-2-mile/M-5K)-Cullowhee, N.C.
Fri., Sept. 16: Clemson Invitational (W-5K/M-8K) - Clemson, S.C.
Fri., Sept. 30: Paul Short Run @ Lehigh (W - 6K / M - 8K) - Bethlehem, Pa.
Fri., Oct. 14: Royal Cross Country Challenge (W-5K/M-8K) - Charlotte, N.C. Sat., Oct. 29: SoCon Championship (W-5K/M-8K) - Charleston, S.C. Sat., Nov. 12: NCAA Regional (W-6K/M-10K) - Louisville, Ky.
WCU's Sam Smithson was named to the National Basketball Coaches (NABC) 2010-11 Honors Court. The Honors Court recognizes collegiate basketball student-athletes who excelled in academics during the 2010-11 season. Sam joins nine other SoCon athletes to be so honored. To be named to the NABC Honors Court, athletes must meet a high standard of academic criteria including being a junior or senior academically; possess a cumulative GPA of 3.2-or-higher at the conclusion of the 2010-11 academic year; have matriculated at least one year at the current institution; and participate at a NCAA Division I, II, III or NAIA institution. It's now 50 days until the kickoff of Catamount football at Georgia Tech. We'll continue to highlight the offensive line on the Catamount Sports Forum, and spotlight red shirt sophomore, #50 Edixon Pino-Alvarez. Click the link below for more information on Edixon. The Catamounts home football game against SoCon foe Wofford will be televised on November 5th as part of the SoCon's new partnership with public television systems (PBS) in three states, Georgia/NC/SC. The distribution plan will reach nearly 11 million homes through 32 affiliates, making it the largest regional distribution option across both broadcast and cable. "We're genuinely excited by the partnership with Georgia, North Carolina and South Carolina public stations," said SoCon Commissioner John Iamarino. "This is an important step for us. It increases our previous reach by two million households, while allowing us to control our rights and our content, and it enables us to use this partnership to promote and publicize not only SoCon football, but other educational activities taking place on our campuses." It's now 51 days until the kickoff of Catamount football at Georgia Tech. We'll continue to highlight the offensive line on the Catamount Sports Forum, and spotlight red shirt sophomore, #51 Rock Williams. Click the link below for more information on Rock. It's now 52 days until the kickoff of Catamount football at Georgia Tech. We'll continue to highlight the offensive line on the Catamount Sports Forum, and spotlight red shirt sophomore, #52 Quevalas Murray. Click the link below for more information on Quevalas. A preseason preview of the Catamount's fifth opponent of the 2011 football season, the Elon Phoenix. Just one month after the start of football season, the Phoenix will travel to Cullowhee and E.J. Whitmire Stadium for the Cat's fifth game overall, third conference game and third home game out of the season's first five games. This game will mark the 41st time the Cats and Phoenix/Fighting Christians have met in football, with the first game being played in 1933. The Catamounts lead 13-8-1 in all games played in Cullowhee, however, the Phoenix bring a 5 game winning streak to Cullowhee. Jason Swepson (Boston College - '92) became Elon's head coach in January, coming from NC State where he was the running backs coach for the last four seasons. Like Coach Wagner, Coach Swepson will act as the Phoenix offensive coordinator, with the additional responsibility of quarterbacks coach. This will be Swepson's first head coaching position. The Phoenix lost a total of 17 seniors to graduation, which includes 6 senior starters on offense and 6 senior starters on defense, along with 5 seniors on special teams. Hardest to replace will be all everything starting quarterback Scott Riddle. 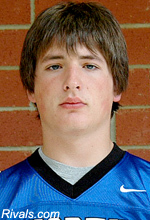 Junior quarterback Thomas Wilson, last season's #2 QB, is expected to get the starting job for the 2011 season. He appeared in five games, completed 11 of 18 pass attempts for 153 yards and two touchdowns. Wilson's favorite target is expected to be pre-season All American, junior wide receiver Aaron Mellette. Last season Mellette finish second in the SoCon with 1,100 receiving yards, caught a league-high 86 passes and led the conference with 12 receiving touchdowns. While the Phoenix certainly have the nucleus for a decent team, with their losses to graduation, an entirely new and untested coaching staff, they will not challenge for the upper levels of the conference this season. Four former student-athletes comprise the 2011 Western Carolina University Athletics Hall of Fame class announced on July 6th 2011. The 22nd class will be inducted into the Athletics Hall of Fame on the weekend of November 4-6, 2011. "Nardia Moore (Women's Soccer, 1999-2002) was the first-ever signee for the WCU women's soccer program and was named to the WCU Women's Soccer 10th Anniversary Team in 2008. Named Soccer Buzz magazine's Freshman of the Year for First-Year programs in 1999, Moore remains Western Carolina's only three-time All-Southern Conference selection, garnering second team accolades from 1999 through 2002 and twice earning all-tournament recognition. A native of Fountain Inn, S.C., Moore continues to rank atop two of WCU's career charts, while also owning a pair of single-season and single-game markers. She scored a school record 38 goals from 1999-02 - tied for eighth all-time in the SoCon - which includes a single-season record 15 in the inaugural season. She also ranks top the points tally with 96 career points including 38 in 1999 to hold the single-season record. Moore, who owns both undergraduate and graduate degrees in special education / learning disorders from Western Carolina, helped lead the Catamounts to its first-ever women's soccer championship, sharing regular season honors with UNC Greensboro and Furman in 2001."